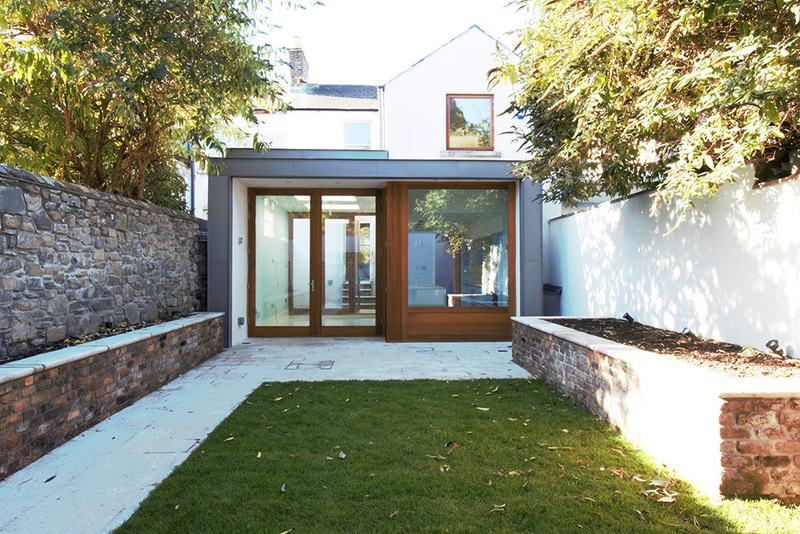 A project to fully refurbish and extend a protected structure in Dublin city centre. 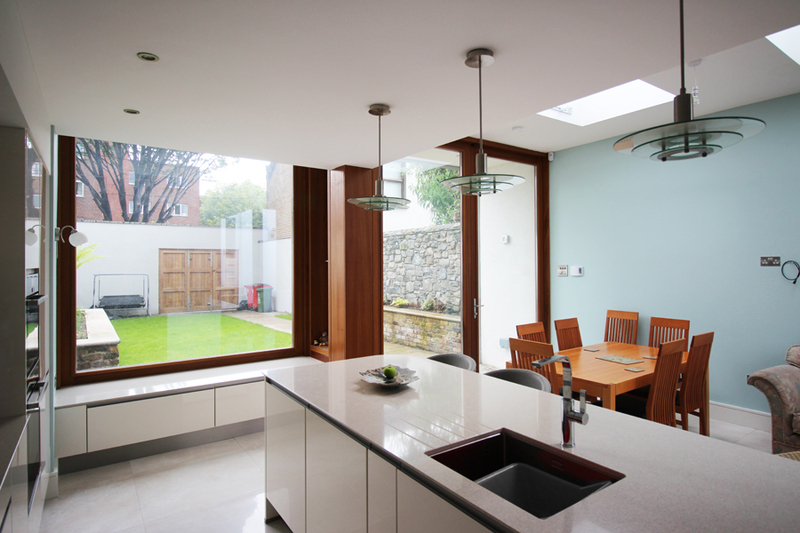 The modern light filled extension provides kitchen and dining accommodation directly connected to the back garden. 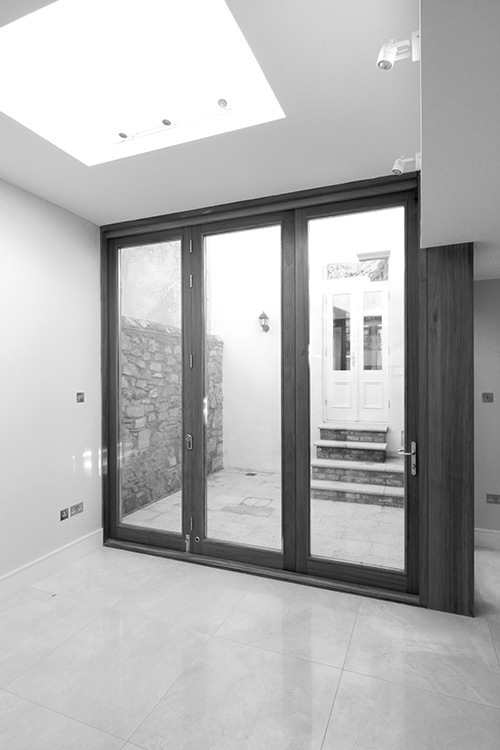 Bespoke timber joinery doors and window seats provide warmth and quality to the modern extension. 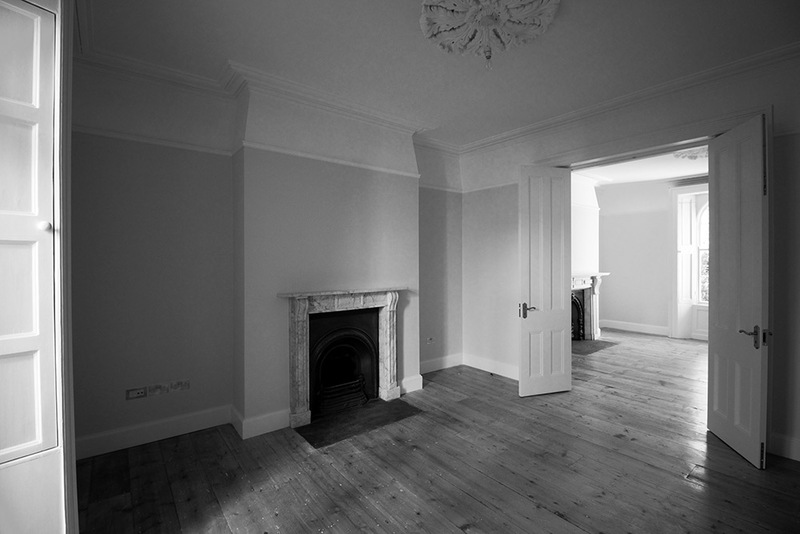 The rest of the house is fully refurbished. 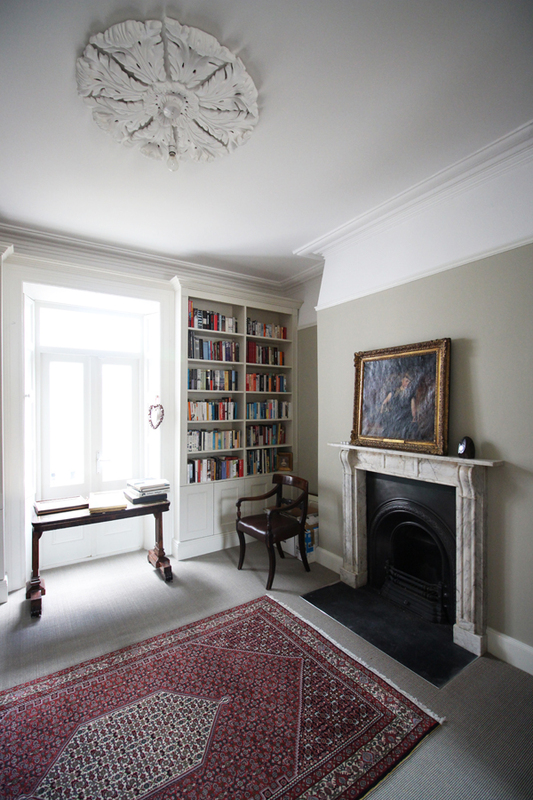 Thermal upgrades of the original house have been achieved using conservation materials, providing a warm, comfortable home while retaining and respecting the fabric of the period house. 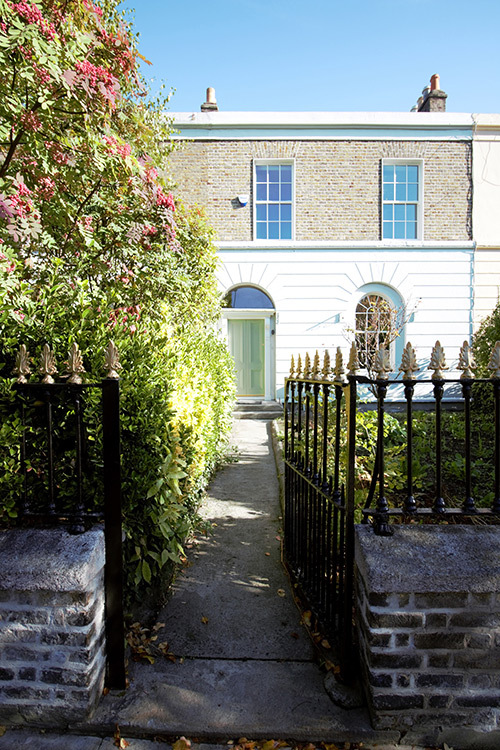 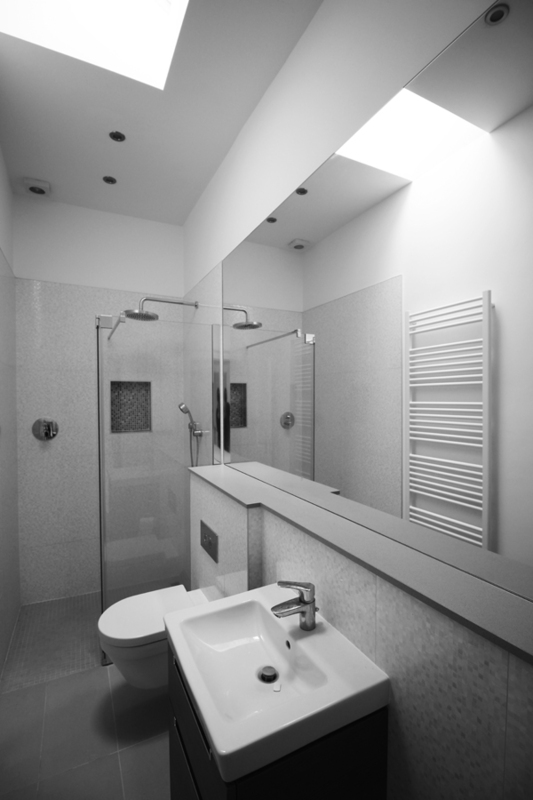 The house retains its beautiful period character while benefiting from modern upgrades. 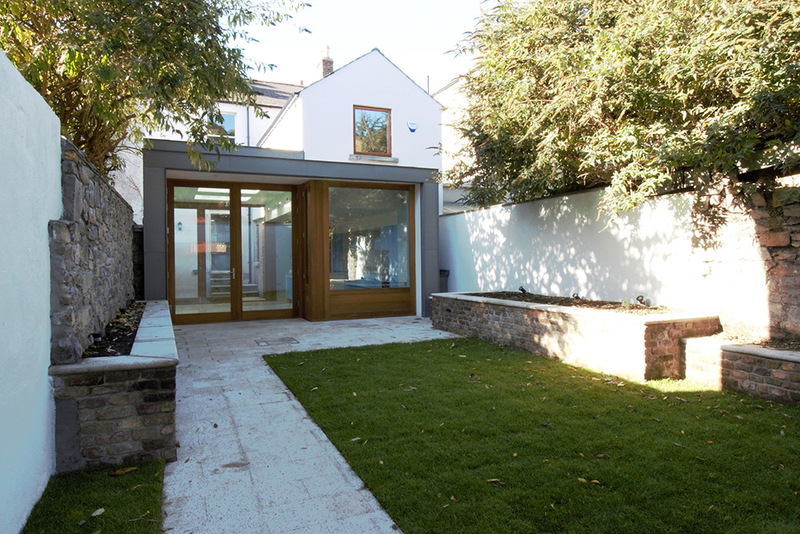 A bright courtyard provides light to the living room of the main house and ensures that the extension is bright and airy. 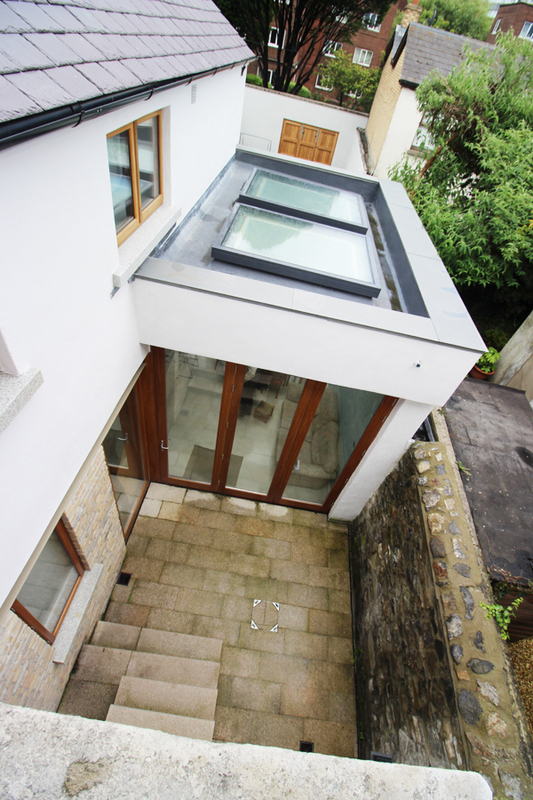 "We're delighted with the end project - from the renovation/restoration of the existing house, retaining its period character, to the ultra modern kitchen/living extension. 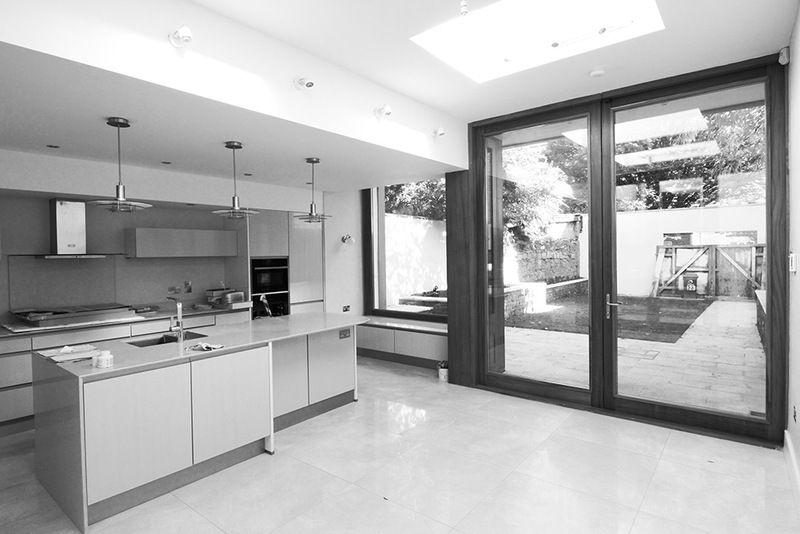 The extra-tall doors and windows are a stunning feature, and always attract the 'wow factor' and much admiration from our visitors. 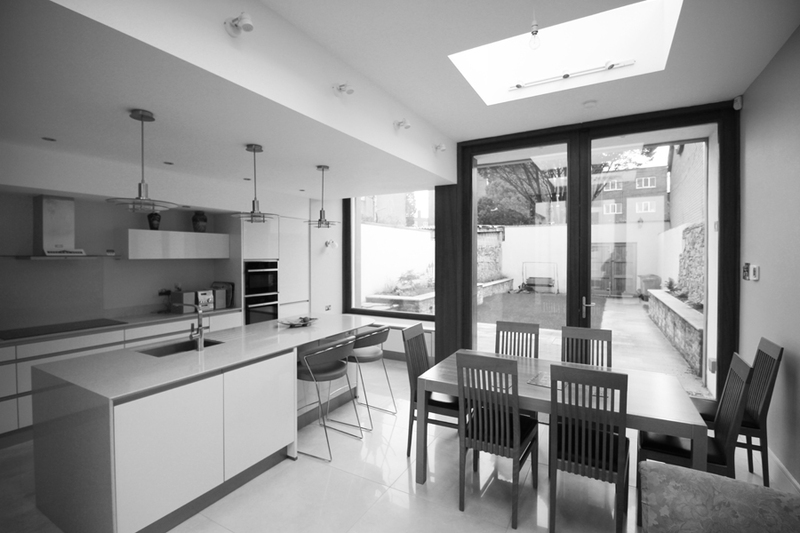 Everyone admires too the tremendous light throughout the house - not always an easy feat to pull off in a terraced house."